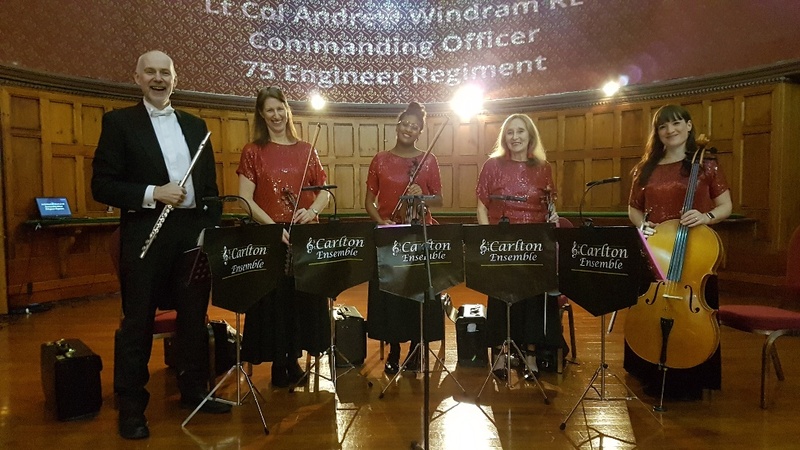 Welcome to Carlton Ensemble-- since 1982 the North West & Manchester string quartet and string trio with a difference - a flute. Please browse through our pages & blog. 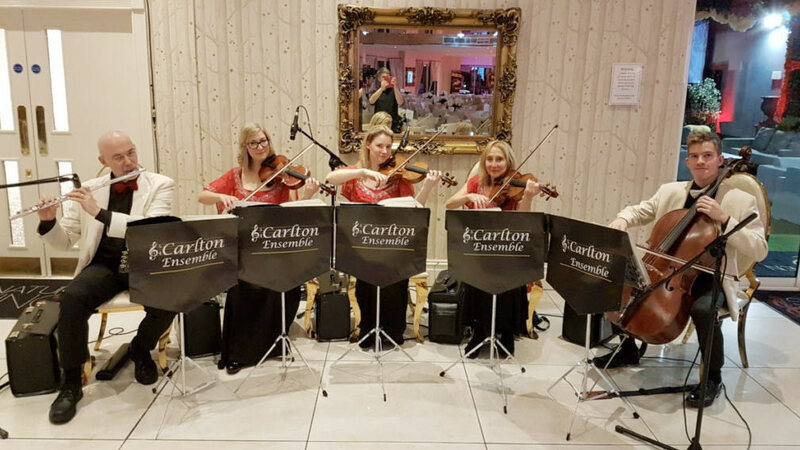 We'd really love our 5 piece string quartet & flute or 4 piece string trio & flute to play for you & add our distinctive, easy-listening sound to your event. Whether you'd prefer Classical or Light music, or a mixture of both for your wedding, party & special event -- we aim to get it right for you & your guests. 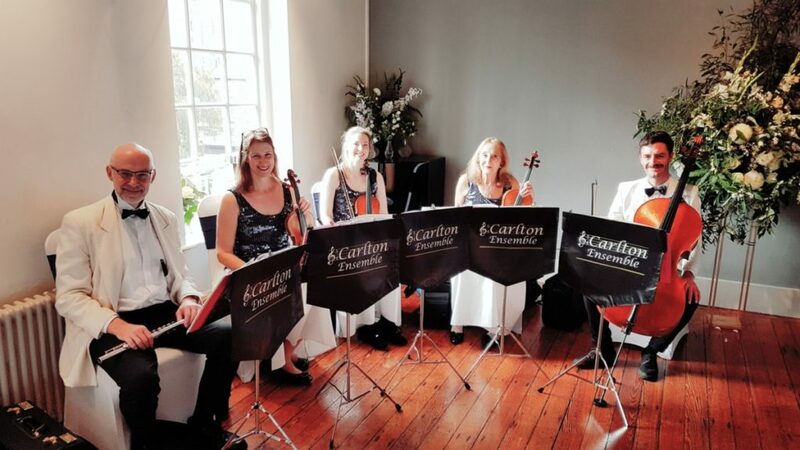 Carlton Ensemble specialises in memorable live classical & light music for weddings, religious & civil ceremonies, receptions, corporate events, parties, christenings, chupot & funerals throughout the North West, North Wales, Manchester, Yorkshire , Cheshire, Lancashire, Derbyshire, Merseyside & Wirral . For tasteful, quality music for your special event & for individuality with a touch of class, let our experienced wedding string quartet & flute provide the answer. Our online sound clips range from Mozart to Metallica, from Bach to Beatles, from Grieg to Guns 'n Roses & Game of Thrones. 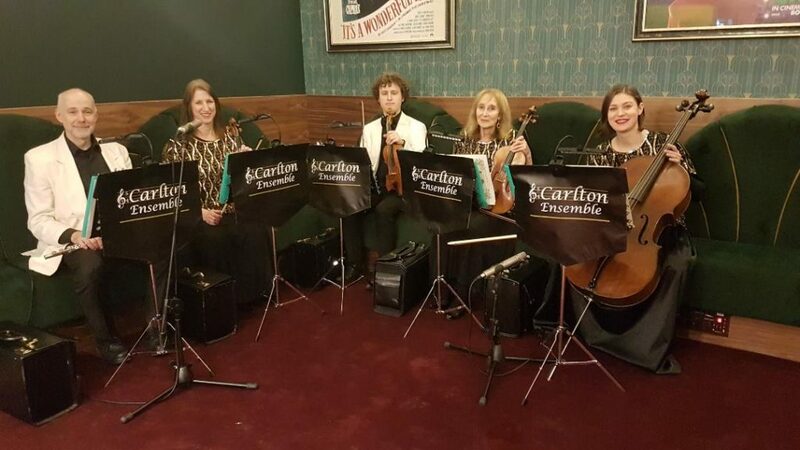 Carlton's talented musicians have entertained North West wedding & corporate clients with beautiful, relaxing music since 1982 keeping up with hits, popular shows & classical favourites appealing to every age group, old & young alike. We're committed to ensuring our live musical entertainment makes your event, your wedding, your party, your celebration a really memorable occasion & that we help create the atmosphere you desire for your personal or business celebration, your wedding, your party or your company dinner.